This is the website I designed for 15winks, the world’s first 15-second video dating app. This launched in iOS and is awaiting launch for Android. This design was created to showcase the app as well as prompt users to download the app to their apple devices. 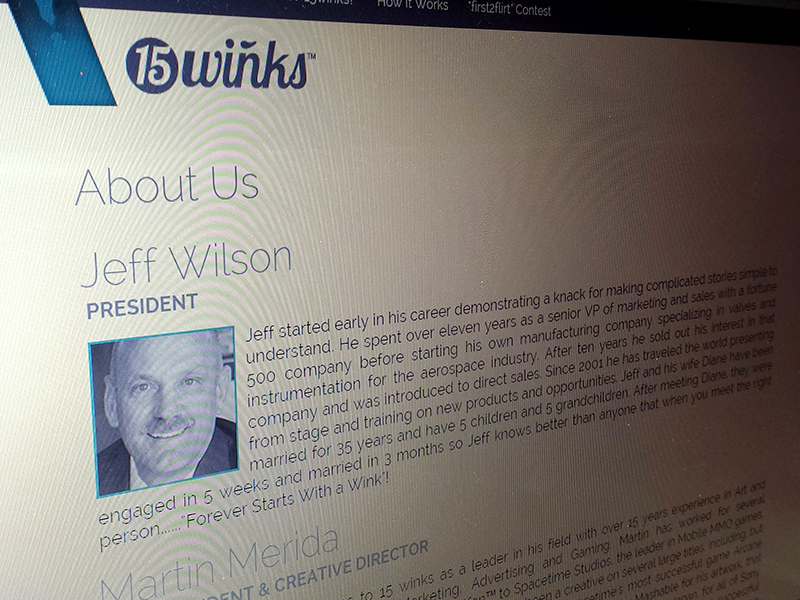 I designed the logo, UI, and website for 15winks. The app design won me a Hermes Platinum Award as I served as the VP and Creative Director on the project.